WACO, Texas (May 19, 2017) – Luke Pederson, a rising junior University Scholar in the Honors College at Baylor University, has received a place with a Fulbright Summer Institute to study at the Institute of Medieval and Early Modern Studies at Durham University in England. The Fulbright Summer Institute is one of the most prestigious and selective summer scholarship programs operating worldwide. Pederson is the son of Eric and Susan Pederson of Orlando, Florida. 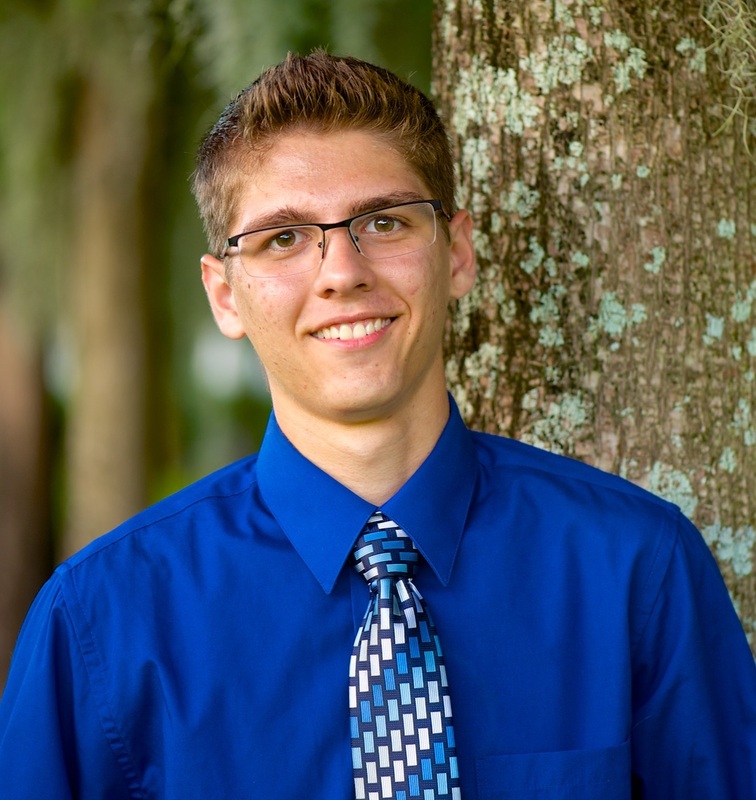 He is a 2015 graduate of the Geneva School in Orlando. Pederson was selected from a strong pool of applicants to experience the United Kingdom during the four-week summer program. “I checked my email one morning while I was in my room, saw the email from Fulbright, and told my brother, who is my roommate, “Hey Gabe, I got the Fulbright!” Pederson said. Highlights of the trip will include conducting archaeological laboratory work, attending classes at Durham University and excavating the Roman fort and town at Binchester. Since 2009, an international team has been excavating this archeological site, which includes the best-preserved Roman bathhouse in the United Kingdom. This will be Pederson’s first time participating in an archaeological excavation, and he said he is looking forward to exploring historical churches and the English countryside, meeting other students and experiencing another culture first-hand. He learned about the Fulbright Summer Institute from Tim Campbell, who participated in the Fulbright-Scotland Institute in summer 2015 and shared his experiences with the Ampersand Society, a small group of high-achieving Baylor students in the College of Arts & Sciences. “I looked on the Fulbright website and found one that involved archaeology and medieval history, and I decided to apply,” Pederson said. As a University Scholar, Pederson is studying classics, Great Texts and history with a focus on the medieval world. He is an active member of Baylor’s chapter of Eta Sigma Phi, , a classics honor society, and has been very involved in the Honors Residential College, where he has coordinated intramurals and helped plan social events. In the fall, he will serve as a Community Leader in the Outdoor Adventure Living-Learning Community. After completing his undergraduate studies at Baylor, he hopes to attend graduate school for medieval studies or become a humanities teacher. Pederson decided to attend Baylor after visiting campus for Invitation to Excellence, a weekend event for high-achieving high school students. He said the experience allowed him to build relationships with faculty and learn more about the Honors College. His brother, Gabe, graduated from Baylor earlier this month. “I really liked the University Scholars program, the Great Texts program and the community of the Honors Residential College. I also loved all the professors I met, and I liked the Christian community at Baylor and the ability to learn closely about the Christian tradition from a Christian perspective,” Pederson said. Pederson spoke highly of David Jeffrey, Ph.D., Distinguished Professor of Literature and Humanities, as well as Dr. Junius Johnson, Dr. Ralph Wood, Dr. Melinda Nielsen, Dr. Phillip Donnelly and Dr. Alden Smith, as the Great Texts, religion and classics faculty members who have been particularly influential in his academic career. “I am absolutely delighted that Luke will get this opportunity, and I am confident that he will make the best of it in every way. He will be a very fine ambassador for Baylor University and the Honors College,” Jeffrey said. The U.S.-U.K. Fulbright Commission is the only bilateral, transatlantic scholarship program, offering awards and summer programs for study or research in any field at any accredited U.S. or U.K. university. The Commission is part of the Fulbright program conceived by Sen. J. William Fulbright in the aftermath of World War II to promote leadership, learning and empathy among nations through educational exchange. Award recipients and summer program participants will be the future leaders and support the ‘special relationship’ between the United States and the United Kingdom. “In the 70th year of the Special Relationship, we can celebrate American students seeking study-abroad opportunities through our Summer Institute program. This is a unique opportunity to get a taste of British higher education while interacting with students from across the globe. As part of a diverse and high-achieving cohort, these students will gain immensely from the experience,” said Penny Egan, CBE, executive director of the U.S.-U.K. Fulbright Commission.